From concept to completion The Corporate Show is a full service video production provider. We craft technology, deliver art! Steven produces CME videos for many leading pharmaceutical companies. TCS operates at the pinnacle of professionalism at all times. Our demeanor is greatly appreciated by our highly sensitive clients. When working in medical facilities around the country or inside the homes of prominent physicians we get rave reviews for our professionalism. Nondisclosure agreements are a common practice at TCS. This video was shot at Lambeau Field in Green Bay, WI. It was produced for all players in the NFL. The Corporate Show was granted rare access to the field and players locker room because the program was supported by the NFL. If you have a message to deliver we will help you inform your audience! Powerful testimonials are best when told by the person that lived it. As an experienced Director, Steven knows how to work with each subject for an outstanding result. His goal is to achieve a honest, natural response from his subjects. TCS clients love his testimonial work. Caution: This video contains close up shots of oral surgery. It is not for everyone! Not all of our videos are large productions. Sometimes clients want simple, effective, and economical work performed. In this case Steven spent one day with long time TCS client Dr Steven L Rasner DMD at his teaching clinic in Vineland, NJ. The video is being successfully used to increase attendance at his workshops. Steven has also accompanied Dr. Rasner at over 100 national speaking engagements as his live show Producer. Here Steven is simultaneously shooting video and stills for a national pharmaceutical ad campaign. Steven is uniquely qualified to shoot both mediums. Photographs appeared in the NY Times, USA Today, LA Times, Fortune Magazine, and many other publications. Video was nationally broadcast. 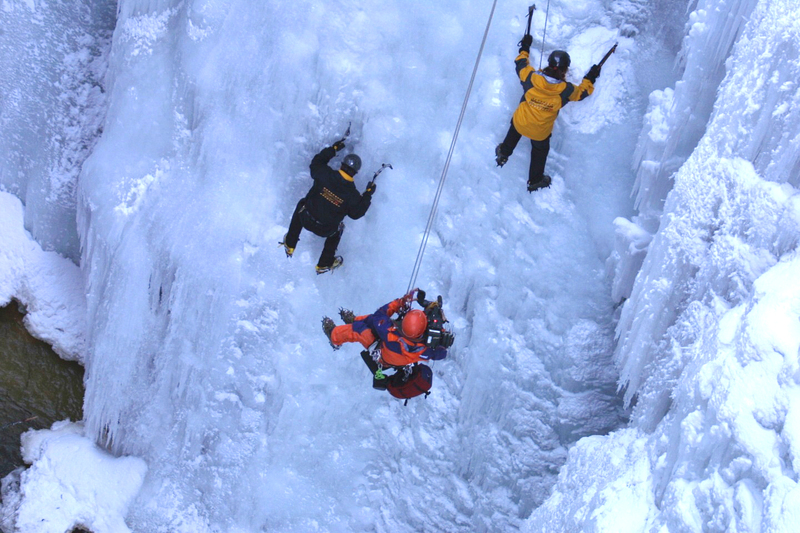 Shooting began on the frozen river 200 feet below. 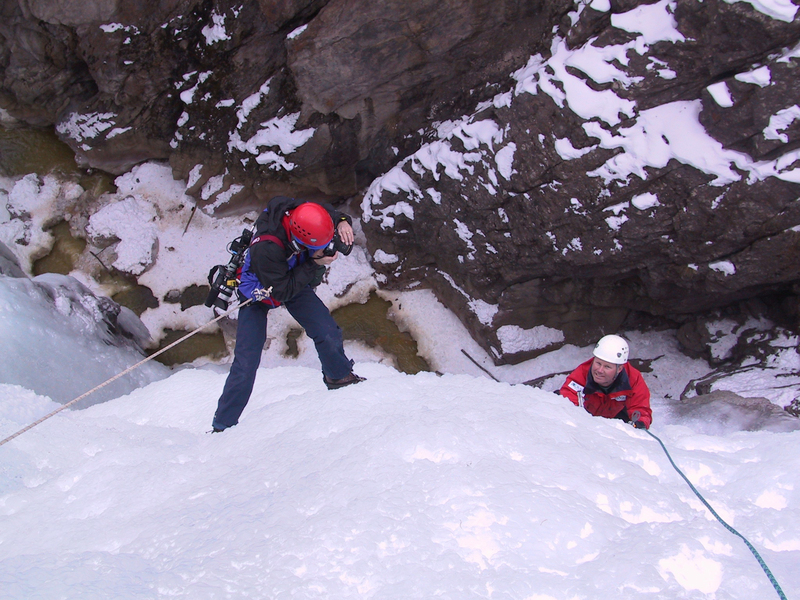 It continued until they reached the top of the ice climb. Steve knows very competent riggers! Get the Shot.....No Matter What! Getting the Shot is at the foundation of Steven's training. Here Steven is shooting reality TV for Sony Motion Pictures "Worst Case Scenario". However he is not always on the end of a rope or covering international events. More often you will find him drawing from his vast quiver of experience for his corporate productions. Steven enthusiastically works on every project as though his life depends on it!